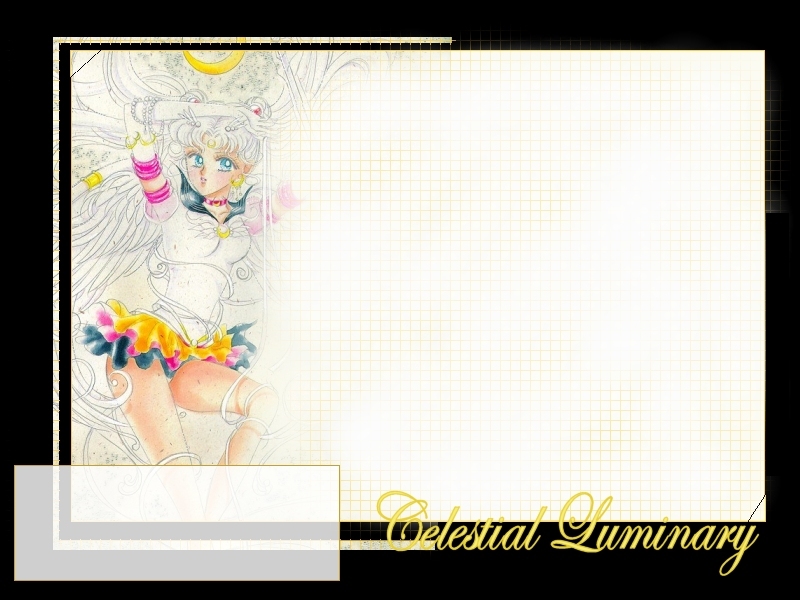 Celestial Luminary has been around long before it was on Takeuchi-naoko.com. 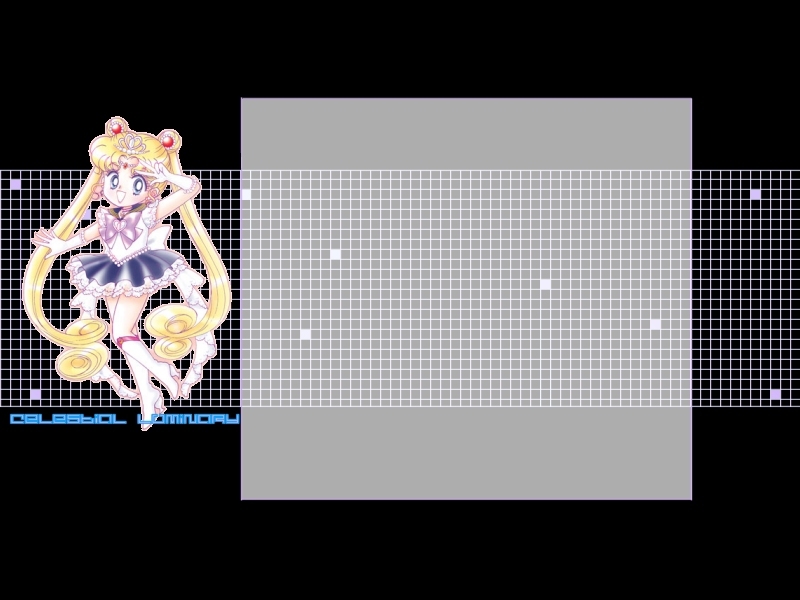 It was first part of a smaller site spawned in 1998 called Sailor Moon (Not wise, Hitsuji admits), and then renamed Moonlight Tower when it was put on Animanga Palace. The contents moved to Takeuchi-naoko.com when Animanga Palace ran into trouble and could no longer exist due to an evil registrar. It moved sometime in 2001 with a revamped design done by Mako-chan and screwed up by Hitsuji-chan ^^;;. Most of the contents have been there since the start, thought the section names have changed and the face of it looks different. So, the majority of the ideas of what the content is have not changed since they were first produced. (The early version of it is burned onto CD). Only a few sections were actually added during that time. Celestial Luminary was originally inspired by the lack of information about Sailormoon being in one place back in 1998. Currently its one of the only active combination sites on Sailormoon. Celestial Luminary is being turned into a user interactive site with games, and other things that will eventually make it self maintaining. One last note: The Make a Senshi program was originally Hitsuji’s idea in 1998 when Hitsuji read a link on a RPG that read, Make your own Senshi. However, many people have either parallely had the same idea, or have wholly taken it (probably when they saw the old site was gone and thought that must make it alright to take). While it hasn’t been made, Hitsuji didn’t take that idea. People took that idea from me instead. The eventual result will be superior to anything out there. Since Hitsuji owns the site, the majority of the HTML was originally done on a Mac. However, other computers have been used by Hitsuji as well. Yang Komputeo- currently owned by Hitsuji, A Mac Pro Intel Duo Processor with 4GB RAM. Putaa-chan- Previously owned by Hitsuji, now in retirement in her parents’ home. It was a G4, Mac. Gimacle- a green iMac owned by Hitsuji and taken by her mother. Hitsuji Dad’s Computer- A Linux format. Koenshaku- Hitsuji’s ex-boyfriend’s (Kodomo Zutsu) computer. A Microsoft OS Computer. Teal Chaos- half Hitsuji’s brother’s computer. Family iMac. The graphics were done on a variety of computers, including some from Hitsuji’s College campus, and all of the ones mentioned above. Mako-chan has used many, many computers. A whole lot of family computers initially as well as the occasional college or dorm computer as well. She currently uses a Compaq Presario Notebook (a PC) to do work on the site, along with a Cannon Scanner (frequently used for this site) and Cannon digital camera (rarely used for this site). Graphics Programs: GIMP, Adobe Photoshop 6 and 7, Adobe Photodeluxe and Adobe Image Ready. Adobe Photoshop CS, Adobe Photoshop CS2, Adobe Photoshop CS3, Adobe Photoshop CS4. And Corel Painter to the list. Sections may also include Manga Studio EX, Flash, Adobe Illustrator and Daz 3D. There were some slicing and animating features along the way as well. Mako-chan uses Jasc Paint Shop Pro 7, good old paint, some Jasc Animation Studio, and rarely more Adobe Photoshop. HTML Programs: Hitsuji’s brain, Cute HTML, BBEdit, and word pad. Hitsuji’s favorite being BBEdit for the Mac. Mako-chan usually uses notepad and her brain to edit her HTML. This cuts down on the fatty code that web generators add on making our site a bit smaller and easier to wade through. Browser Testing: Netscape (Hitsuji), Firefox (for the Mac, Hitsuji), Opera (for the Mac, Hitsuji), Firefox (Mako-chan), and Internet Explorer (Mako-chan). Hitsuji owns all 18 original tankoubon of the Bishoujo Senshi Sailormoon manga, all 12 reprinted tankoubon of the manga plus the two side stories, the artbooks (excluding the Infinity artbook), all 18 volumes of the Mixx/Tokyopop translated graphic novels, the full series in both dubbed (up to Sailor Stars) and subtitles (up to Sailor Stars), the raw Japanese footage (all), the movies in subtitles, dubbed, and raw, as well as a variety of other items that are specifically hers to aid in researching the site besides using online resources to back this up. Hitsuji also worked as an intern at Tokyopop and edited Volume 11 and partially Volume 18. Mako-chan owns all 18 original manga, 17 of 18 volumes of the Mixx/Tokyopop translated graphic novels, all the artbooks (except the Infinity artbook and the materials collection), the majority of the series (in raw/subbed/dubbed footage), bits and pieces of the PGSM series, and a handful of the musicals (subtitled by Cruel Angels Productions) as well as a variety of other items to help her with her BSSM research other than online sources. Those lists are pointed out not as a bragging about our “collections” but to show that we do in fact have the original sources and any page numbers or information we add is not contrived from our heads. Also, Mako-chan has been working slowly but surely to move the site forward so that all content on the site, including images, video, or sound, is directly ripped, scanned, or created by either Hitsuji or herself. Certainly there have been multiple tweaks to this site, and overall huge changes within the other parts (the shrines, fanfiction section, etcetera) that have demanded my attention. The main design has, amazingly enough, only been changed a handful of times since it was placed on takeuchi-naoko.com. I’ll show you a couple of the previous layouts that I found via the wayback machine (regrettably, I don’t have the screen caps I used to since changing computers though Hitsuji-san might). As Hitsuji puts it, versions of the site before it came to Takeuchi-Naoko Dot Com are attrocious and will never see the light of day again (hopefully). This was the first layout, though not the original version I sent to Hitsuji. She “tweaked it” ^_^; so it came across a bit more basic in the end. The design wasn’t great to begin with, it’s a little embarrassing now! More so to think that this was the design from 2002 all the way until 2005! This was my second design after many “rough draft” copies I sent to Hitsuji via email. She liked all the designs “okay” but ended up liking this one the best. I liked this one the best, too, so it worked out. One of the hardest things to balance about this site is to not make it “too feminine” or “too masculine” since we get visitors from both genders here frequently. Regrettably, the image isn’t perfect since it’s from the Wayback Machine archives (the frames, for example, don’t have the text they had in them before or the navigation, and even one image was lost! Ahh! No!) though I am not too upset since I dislike keeping files on the server if we don’t have any use for them anymore. This was the layout from Summer 2005 through 2007. Following those designs were a few extremely similar senshi layouts that were made so I could flip through them quickly and update the site without actually updating much of anything… ah, admittedly lazy. ^_^; These may have been little more than a hiccup, really. They only lasted a few months at the beginning of ’08, because I was secretly working on a new major update. Once that was finished, I chucked those older layouts in favor of the new, more cohesive one you see today. In 2010, Blogspot stopped supporting our updates, so Hitsuji switched to WordPress and updated the website with it to its current shell design. This features mainly files with .php extensions instead of .html and modular design to make site wide design changes easier. SEO was increased with this upgrade, plus the addition of the Galleries to save Mako-chan some trouble with uploading images. That’s pretty much it… if you have any questions regarding something else that we didn’t cover, feel free to ask us.